Century Cruises, which specializes in the Yangtze River, will market its two newest vessels -- Century Paragon and Century Legend -- to North American travelers in 2014. The company also will market its “three most popular Crown series vessels” to Western travelers -- Century Sky, Century Sun and Century Diamond. 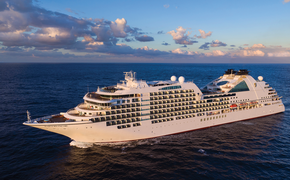 The Century Paragon and Century Legend were both launched in 2013. Their itineraries will remain the same as this year, offering three-night downstream and four-night upstream cruises between Chongqing and Yichang from March 11 through the end of November. Century Paragon sails upstream on Fridays and downstream on Tuesdays. Century Legend sails upstream on Wednesdays and downstream on Sundays. The Century Sky and Century Sun both will sail three-night downstream and four-night upstream cruises between Chongqing and Yichang. The Century Sky sails upstream on Sundays and downstream on Thursday, while Century Sun sails upstream on Mondays and downstream on Fridays. New for 2014, these ships also will visit Shennv Stream via small local boats. Also new for the 2014 season, the Century Diamond will operate a five-night itinerary between Chongqing and Wuhan, gateway to Shanghai. This new itinerary includes elements of the shorter itinerary as well as the ancient walled city of Jinzhou. This new itinerary offers a view of China’s vast Central and Eastern plain, where rice is produced. The new itinerary will run from March 14 through Nov. 25. Century Cruises can be reserved through Uniworld Boutique River Cruises, Avalon Waterways, Gate 1 Travel, AHI Travel, China Focus, China Discovery, Global Voyages Group, and other tour operators and travel agents who specialize in travel to China.